Turner Classic Movies ends this month’s spotlight on pirate films tonight with Bert I. Gordon‘s The Boy and the Pirates (1960)! 7 pm Pacific, 10 pm Eastern. Morgan, that scurvy dog, will be very upset with you if you miss it. Very. So unless you’re in the mood for a red-hot poker in your face, take my advice – don’t. 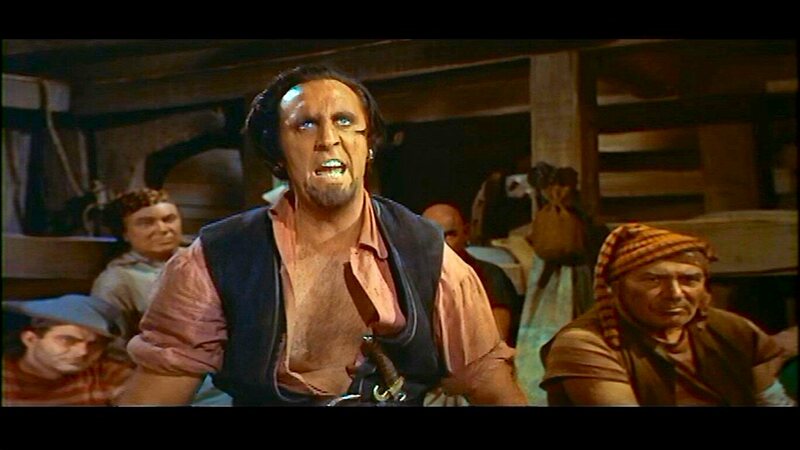 This entry was posted in Film, Television and tagged bert i. gordon, the boy and the pirates, timothy carey, turner classic movies. Bookmark the permalink.